I have sought many on earth to be My followers. Among all these followers, there are those who serve as priests, those who lead, those who form the sons, those who constitute the people, and those who do service. I divide them into these different categories based on the loyalty they show to Me. 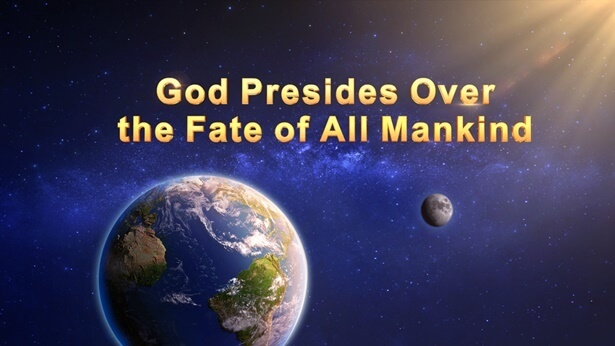 When all men have been classified according to their kind, that is, when the nature of each kind of man has been revealed, then I shall number each man among their rightful kind and put each kind into their fitting place so that I may realize My aim of salvation for mankind. In turn, I call groups of those I wish to save to return to My house, then I allow all of these people to accept My work in the last days. At the same time, I classify man according to kind, then reward or punish each one on the basis of his deeds. Such are the steps that comprise My work. Now I live on earth, and live among men. All men are experiencing My work and watching My utterances, and along with this I bestow all the truths upon each of My followers so that they may receive life from Me and thus obtain a path that they can tread. For I am God, Giver of life. During the many years of My work, man has received much and given up much, yet I still say that man does not truly believe in Me. This is because man merely acknowledges that I am God with their lips while disagreeing with the truth I speak and, even less, practicing the truth that I require of them. 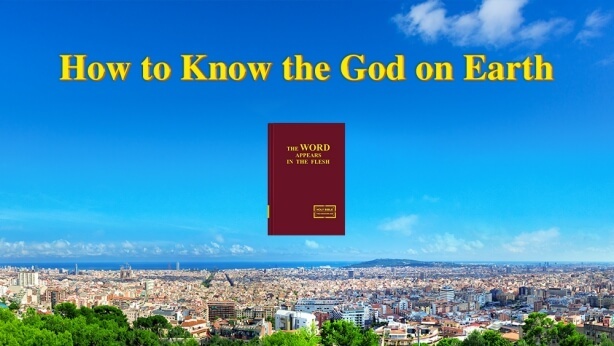 That is to say, man acknowledges only the existence of God, but not that of the truth; man acknowledges only the existence of God, but not that of the life; man only acknowledges God’s name, but not His substance. Owing to his zeal, man has become abhorrent to Me. For man just uses words pleasing to the ear to deceive Me, and none worship Me with a true heart. Your speech holds the temptation of the serpent; further, it is haughty in the extreme, a veritable proclamation by the archangel. What is more, your deeds are tattered and torn to a disgraceful degree; your immoderate desires and covetous intentions are offensive to the ear. You have all become moths in My house, objects to be discarded with loathing. For none of you are lovers of the truth, but rather men who are desirous of blessings, of ascending to heaven, and of seeing the magnificent vision of Christ wielding His power on earth. But have you ever thought how someone like you, so deeply corrupted, and who knows not at all what God is, could be worthy to follow God? How could you ascend to heaven? How could you be worthy to see the magnificence, which is without precedent in its splendor? Your mouths are filled with words of deceit and filth, of betrayal and arrogance. Never have you spoken words of sincerity to Me, no holy words, no words of submitting to Me upon experiencing My word. What, in the end, is your faith like? Your hearts are filled with desires and wealth, your minds with material things. Daily, you calculate how to get something from Me, how much wealth and how many material things you have gained from Me. Daily, you await ever more blessings to come down upon you so that you may enjoy, even more and even better, the things that may be enjoyed. That which is in your thoughts at each and every moment is not Me, nor the truth that comes from Me, but rather your husband (wife), sons, daughters, or what you eat and wear, and how your enjoyment can become even more and even better. Even when you stuff your stomach to the brim, are you not little more than a corpse? Even when you adorn your outward form splendidly, are you not still a walking corpse that has no life? You toil for the sake of your stomach until your hair is dappled with gray, yet none of you sacrifice a single hair for My work. You are constantly on the go, taxing your body and racking your brain, for the sake of your flesh, and for your sons and daughters, yet not one of you shows any worry or concern for My will. What is it that you still hope to gain from Me? In doing My work, I am never hurried. Whatever way in which man follows Me, I do My work in accordance with each step, in accordance with My plan. Therefore, though you may rebel against Me so much, I still do not stop My work, and still continue to speak the words I wish to speak. I call to My house all those I have predestined in order to make them into an audience for My word, and then place all who obey and long for My word before My throne. Those who turn their backs upon My word, those who fail to obey and submit to Me, and those who openly defy Me, shall all be cast to one side to await their final punishment. All men live in the midst of corruption and under the hand of the evil one, so not many of those who follow Me actually long for the truth. That is to say, most do not worship Me with a true heart or with the truth, but rather try to obtain My trust through corruption, rebellion, and deceitful measures. It is for this reason that I say: Many are called, but few are chosen. 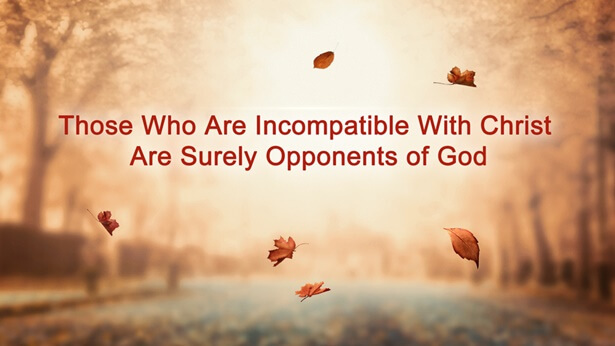 All those called are deeply corrupted and they all live in the same age, but those who are chosen are only that group who believe in and acknowledge the truth, and who practice the truth. These men are merely a very small part of the whole, and from among these men I shall receive more glory. Measured against these words, do you know if you are among the chosen? What will your end be like? I have already said that those who follow Me are many but those who love Me with a true heart are few. Perhaps some might say, “Would I have paid such a great price if I did not love You? Would I have followed to this point if I did not love You?” Assuredly, you have many reasons, and your love, assuredly, is very great, but what is the essence of your love for Me? “Love,” as it is called, refers to an emotion that is pure and without blemish, where you use your heart to love, to feel, and to be thoughtful. In love there are no conditions, no barriers, and no distance. In love there is no suspicion, no deceit, and no cunning. In love there is no distance and nothing impure. If you love, then you will not deceive, complain, betray, rebel, exact, or seek to gain something or to gain a certain amount. If you love, then you will gladly sacrifice and endure hardship, and you will become compatible with Me. You will give up your all for Me, give up your family, your future, your youth, and your marriage. Otherwise your love would not be love at all, but rather deceit and betrayal! What kind of love is yours? Is it a true love? Or false? How much have you given up? How much have you offered up? How much love have I received from you? Do you know? Your hearts are filled with evil, betrayal, and deceit, and that being so, how many impurities are there in your love? You think that you have already given up enough for Me; you think that your love for Me is already enough. But then why do your words and actions always carry with them rebellion and deceit? You follow Me, yet you do not acknowledge My word. Is this considered love? You follow Me, yet then cast Me aside. Is this considered love? You follow Me, yet you are mistrustful of Me. Is this considered love? You follow Me, yet you cannot accept My existence. Is this considered love? You follow Me, yet you do not treat Me as befits who I am and make things difficult for Me at every turn. Is this considered love? You follow Me, yet you try to fool Me and deceive Me in every matter. Is this considered love? You serve Me, yet you do not fear Me. Is this considered love? You oppose Me in all respects and all things. Is this all considered love? You have sacrificed much, it is true, yet you have never practiced what I require of you. Can this be considered love? Careful reckoning shows that there is not the slightest hint of love for Me within you. After so many years of work and all the many words I have supplied, how much have you actually gained? Does this not merit a careful look back? I admonish you: Those I call to Me are not the ones who have never been corrupted; rather, those I choose are the ones who truly love Me. Therefore, you ought to be vigilant with your words and deeds, and examine your intentions and thoughts so that they do not cross the line. In this time of the last days, do your utmost to offer up your love before Me, lest My wrath never depart from you!